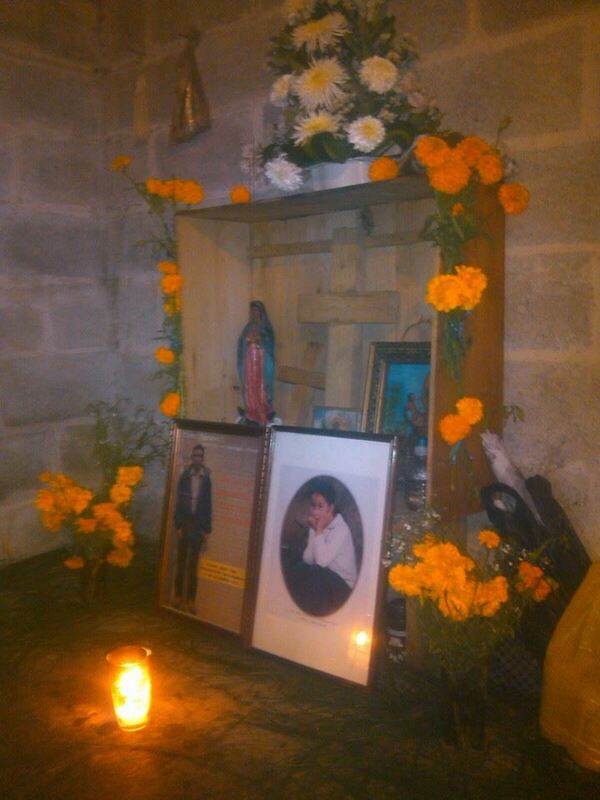 Indigenous visit the tomb of the young girl Antonia López, a victim of forced displacement. Banavil Tenejapa, Chiapas. 30th October. 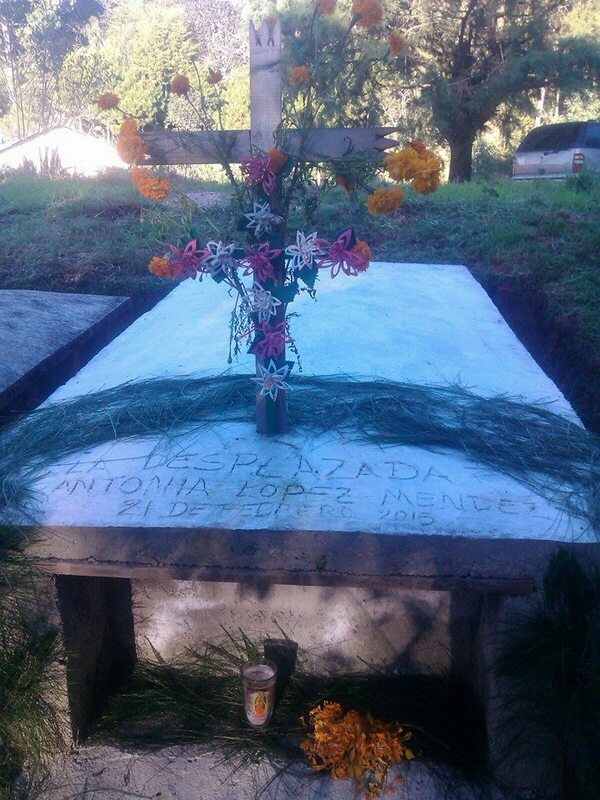 Antonia López Méndez, who died at the age of eleven on 21st February 2015, is one of 19 people (4 families) of Zapatista supporters, who were forcibly displaced from the community of Banavil in the municipality of Tenejapa on 4th December, 2011. 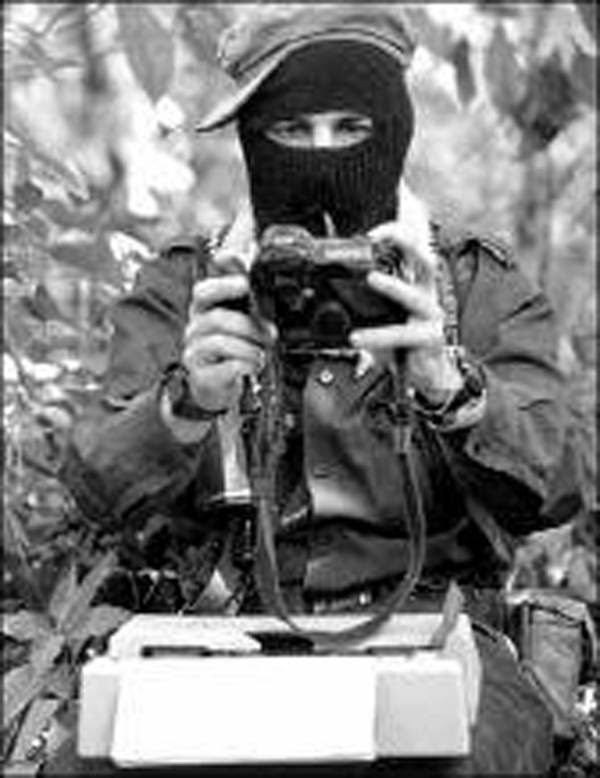 As the displaced families from Banavil had previously announced, on Friday they temporarily returned to their community together with a caravan of human rights observers, and national and international organizations and people in solidarity, to visit the young girl Antonia in these days of Todos Santos (All Saints). “We will give an offering to our dead in their graves, to remember them,” said the Tzeltal indigenous, and announced that despite the risks, they would stay there until 3rd November. 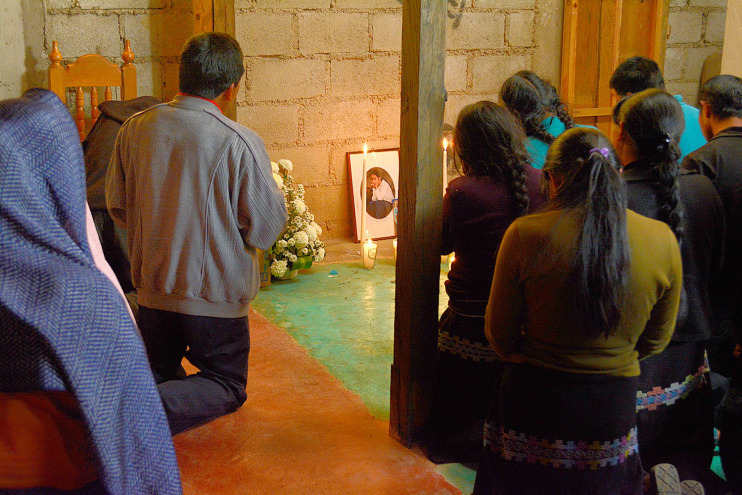 Miguel López Girón, spokesperson for the affected families, said that Antonia died in forced displacement, because the government has ignored their demands for justice and there are still no safe conditions established for the permanent return of the 19 people currently living in San Cristóbal de Las Casas. “We’re risking our lives here, and the local, national and international organizations and observers who have come with us are also risking their lives. The bad government is deaf and does not hear our words, we have repeatedly denounced the impunity for the injustices and asked what the bad government will do, and so far it has done nothing,” added López Girón. After more than three years of enduring the basic subsistence conditions of forced displacement, the young girl Antonia was admitted on 18th February last, to the ​​medical emergencies section in the Hospital of Cultures, San Cristobal de Las Casas. The testimony of her family indicates that she began to suffer pains in the neck and leg, in addition to loss of speech for which she was admitted to the hospital for evaluation. The doctors diagnosed Antonia as having “cerebral oedema.” For this reason, she was placed under specialist care, exhausting all the possibilities of saving her life, said the Fray Bartolomé de las Casas Human Rights Centre (Frayba). Frayba notes that for almost four years, the demand has been made for Justice and Truth for the displaced families of Banavil. 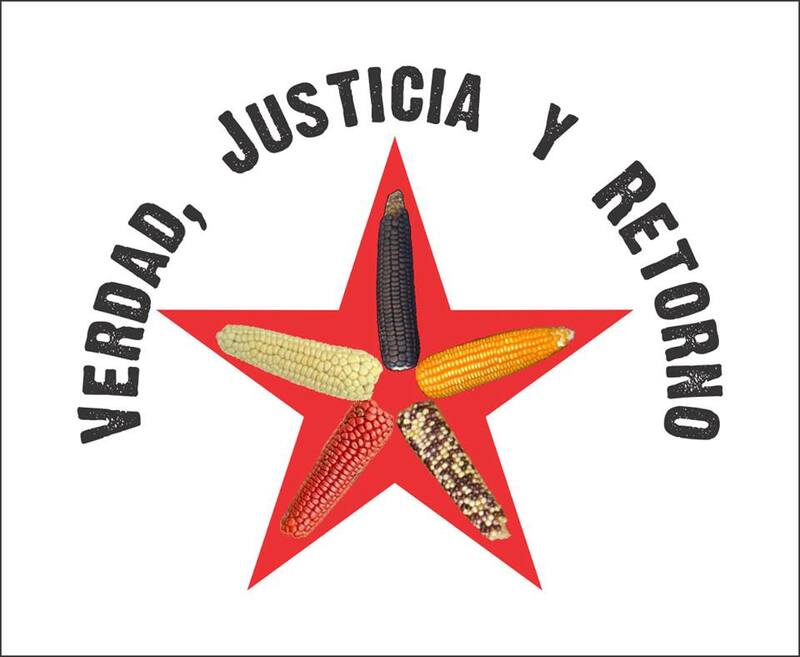 “The impunity and indifference of the authorities of the Chiapas government only confirms their complicity in protecting groups which are among the perpetrators of serious violence in this Tzeltal region of los Altos de Chiapas,” stated the human rights body.